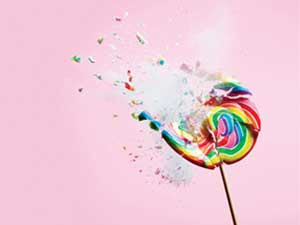 I have a confession to make, I am a self diagnosed sugar addict. It's way more than just a sweet tooth, it's a serious need I try very hard to shake. Since childhood I favored cakes and pies over potato chips, and even though my parents didn't buy much junk food, I always managed to find my best friend, Little Debbie! No one in my life has questioned my love for sugar because I didn't have health issues and was very active. I was always in a dance class or on a sports team. As I got older I knew my metabolism wouldn't change but I figured since over all I have a balance diet that I would be fine, and for the most part I was. This changed for me when I began to correspond with my biological dad. I'd always knew my sweet tooth was from him, my mom hates sweets. While getting to know him he told me he was suffering from diabetes, and that's when it dawned on me. I was raised by my mom and stepdad, but I still had my biological dad's genetics. My love for sugar can also become a deadly disease. This scared me and let me know it was time to take my love for sugar more seriously and try to nip it in the bud. If you struggle with cravings, these are a few things that I’ve found helpful for beating sugar cravings naturally. Ever had sugar cravings? What helped you? Let us know in the comment section below!